The Downtown San Francisco Ferry Terminal Expansion Project is being developed by WETA to expand and improve facilities at the Downtown San Francisco Ferry Terminal. 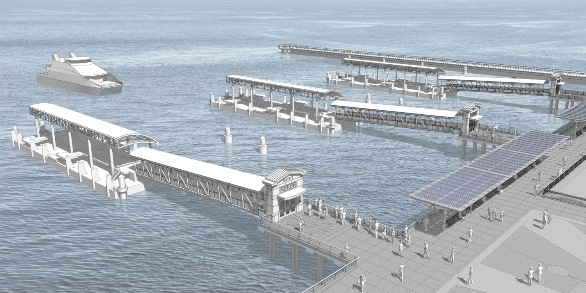 WETA is working in close partnership with the Port of San Francisco to implement the project in support of WETA's Implementation and Operations Plan (IOP), which calls for the expansion of ferry service throughout the San Francisco Bay Area, as well as WETA's Emergency Water Transportation Management Plan (EWTSMP), which sets forth the framework for WETA's emergency operations in the event of a regional disaster. The Downtown San Francisco Ferry Terminal Expansion Project includes construction of up to three new ferry gates and vessel berthing facilities that will support new ferry services from San Francisco to Richmond and Treasure Island, as well other potential locations currently under study. 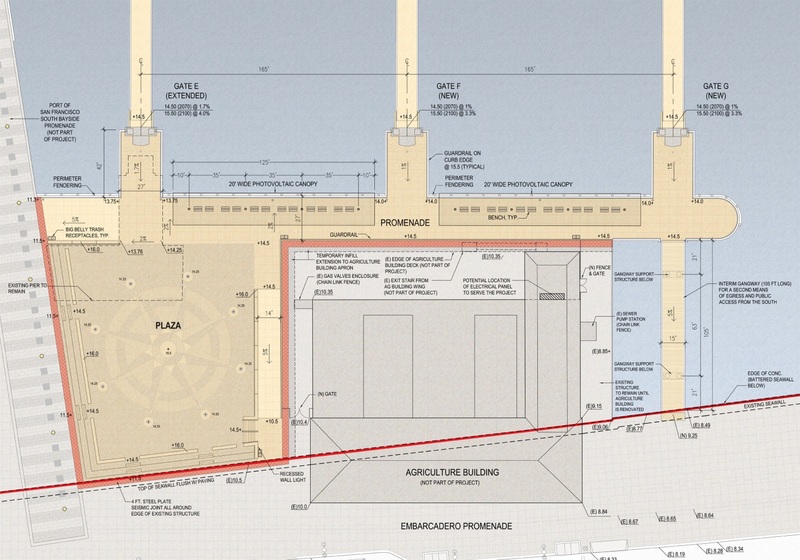 The Project will also improve landside conditions at the Ferry Terminal by providing new amenities such as weather-protected canopies, the construction of a new plaza area south of the Ferry Building, the extension of pedestrian promenade areas, and other public access improvements. 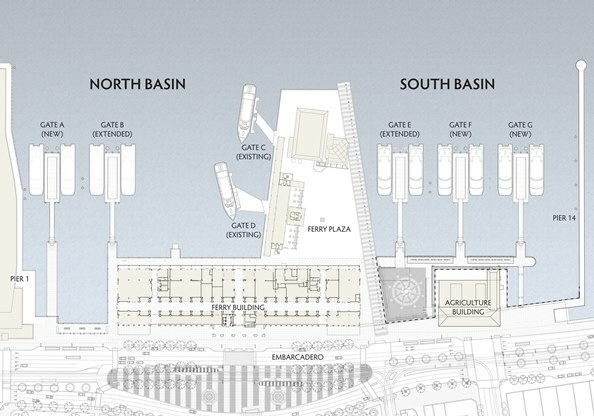 The new gates and amenities will significantly improve waiting and queuing conditions for existing riders and expand the space available for WETA to stage emergency water transit services in the event of a regional transportation disruption or disaster. WETA has completed an environmental review of the project pursuant to requirements of the California Environmental Quality Act (CEQA) and the National Environmental Protection Act (NEPA) and is currently working with local, regional, state, and federal agencies to secure permits required for the Project. The Project will be built in separate construction phases, with construction of the South Basin improvements scheduled to begin in 2016 and be complete by 2018. Construction of the North Basin improvements will commence at a later date, as demand warrants and funding becomes available. Design renderings prepared for the South Basin improvements are shown below. to support ferry service expansion and improve public access. to San Francisco and improve conditions for current ferry riders.